With the recent release of The Dark Tower (2017), I became interested in the book series that inspired the movie. I already knew the books would likely take a different direction from the film, and I was prepared for them. Up until now, I’ve enjoyed many of King’s other works, including The Shining, On Writing , and The Green Mile. That’s not to say I didn’t enjoy The Gunslinger; it’s more that most of his books have not been part of a larger series. 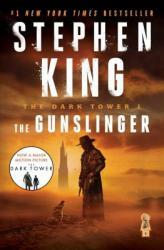 I still want to know what happens in the next book of the Dark Tower series, so The Gunslinger certainly succeeded in that aspect. Stephen King’s talent for description is in high form here as he crafts a world unlike our own but still linked to it via the wandering boy, Jake. Considering King’s background in describing all sorts of evil creatures and villains, the calm and calculating “Man in Black” is more terrifying than any violent antagonist, mostly with how psychological he is in his assaults against the eponymous Gunslinger. I also found following the main character of the Gunslinger led to an exciting journey as he overcomes the hurdles that prevent him from accomplishing his goal. 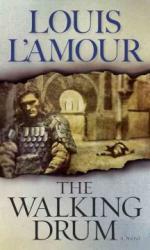 I understand that the first book in a series has a heavy burden to bear. It must introduce the characters and enough of their backstory to understand their motivation. It must also have a hook and be interesting enough by itself to warrant further reading. I probably could have done without some of the flashbacks and/or hallucination/memories, as they almost distracted from the action. I also felt this book didn’t necessarily cover enough ground, but I suppose that’s what the next books in the series will do: flesh out the conflict between the Gunslinger and the Man in Black. A good foundation for a series that I hope improves over time; I give The Gunslinger 4.0 stars out of 5. 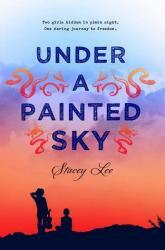 Under a Painted Sky was just okay for me. The book was probably very similar to being on the Oregon Trail - every once in a while something exciting would happen but for the most part, you're on the trail with a long stretch of boring ahead of you! That being said, I really do like the fact that Stacey Lee used a "historical" setting to present two strong, multicultural female characters. Annamae (African-American) and Samantha(Chinese) came into each others lives at a critical time and in the end, they realize that you can choose your family. Also being accepted for who you are was a central theme. But I felt Under a Painted Sky was a historical novel with not much history. The story takes place on the Oregon Trail, and we do hear of some of the hardships of traveling that the pioneers faced, but Stacey Lee only did one mention of Native Americans in the book. One sentence about the Cheyenne. It's hard to believe that on the trail, they didn't encounter any Native Americans. I think this book will be popular with teen girls. They will love the romance! I really enjoyed this book because it was such an adventurous and suspenseful story: just my type. The main character in this story goes through so much I know I could never endure myself, but she kept pushing through it all and made it out all right. There were so many surprising things in this amazing book that happened that I never would have guessed. 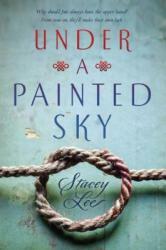 Under A Painted Sky was probably the best book I've read this year. Like all books, it had a little blunder here and there, but overall I absolutely loved it. century adventurer Mathurin Kerbouchard and his journey to find and rescue his father who had been captured at sea. His journey takes him all across Europe and into the Muslim world, a world of culture and science that is much different than the squalid life of Europe. It is a lively story, full of exciting characters, vivid description of life in the Middle Ages, and daring exploits that climax at the infamous Valley of the Assassins. Throughout the book are many historical facts thrown in by Kerbouchard as he narrates his travels which I found interesting, but someone who is simply looking for an adventure book might find them tedious. I would definitely recommend this book to someone who loves history and travel, because it satisfied some of my own wanderlust with its vivid description of the splendors of an age long gone.